Now that summer is here, many people are doing everything they can to make sure they look as wonderful as possible for the season. Whether it is visiting your favorite gym more often or making sure you hair and nails are done, the summer season is all about having fun and letting your hair down. There is no doubt you will be reconnecting with old friends and meeting many new people, and making an excellent first impression is important. What people may be forgetting, however, are their smiles. Many people consider a smile a first impression, and having a flawless smile is something many people want. With tooth-colored fillings, Dr. Dory Stutman and Dr. Khalida Stutman are able to give you the perfect smile you have always wanted. One of the amazing benefits to tooth-colored fillings is the fact that they give you a natural looking smile. With amalgam fillings, or metal fillings, you are left with a mouth full of metal, making it displeasing to some. Also, there are toxins associated with metal fillings, and when it is put in your smile, those toxins are able to spread throughout your entire body, which is something no one wants. 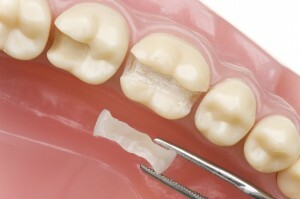 Also, with tooth-colored fillings, you are able to keep much more of your original tooth structure. When you have dental work done, such as fixing a cavity or having a root canal performed, using tooth-colored fillings allows us to retain more of your original tooth than we would using metal fillings. We will create a special composite that matches your tooth color exactly, so your smile looks seamless. Another benefit to tooth-colored fillings is the fact that it gives you your confidence back. When you are happy and secure in your smile, that security can affect many aspects of your life, bringing out positive changes. If you would like to know how our doctors can give you an amazing smile, please contact our office, and we would love to help. At South Shore Dental Care, we’re committed to providing our patients with a wide array of dental services, high-quality cosmetic dentistry, and up to the minute dental technology. Our Massapequa dental office serves patients from Long Island, Merrick, Bellmore, and Wantagh. Call us today to schedule your appointment. by: Dr. Stutman's Office at September 9, 2014 .